The Men's Cyrus Mid GTX Boot utilises a Direct Injection Construction to create lightweight, comfortable support. A nubuck upper with waterproof Gore-Tex lining ensures the shoe will keep your feet dry and protected while you tread trails or streets in less than perfect weather. The addition of a higher ankle offers more support and weather protection while the PU midsole has a low weight and outstanding underfoot comfort. 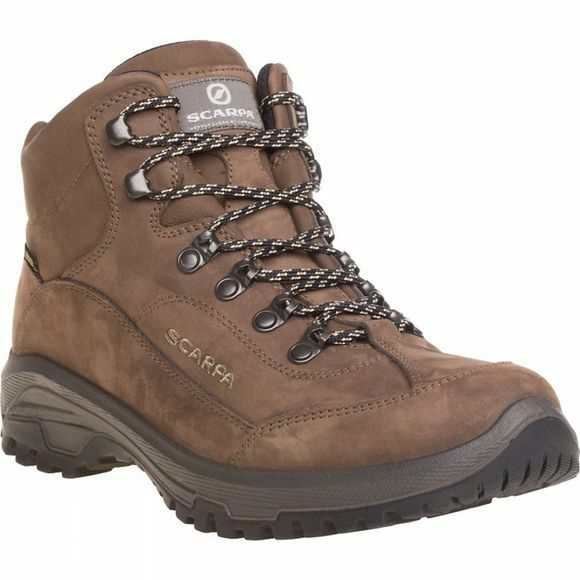 The Scarpa Energy L outsole gives plenty of traction for a wide range of underfoot conditions.